When East, a low-level lookout for a Los Angeles drug organisation, loses his watch house in a police raid, his boss recruits him for a very different job: a road trip straight down the middle of white, rural America to assassinate a judge in Wisconsin. Having no choice, East and a crew of untested boys – including his trigger-happy younger brother, Ty – leave the only home they’ve ever known with a roll of cash, a map and a gun they shouldn’t have. Along the way, the country surprises East. Only he can decide which way to go – and which person to become. I have had Dodgers on my TBR shelves for quite a few weeks now, and I have been meaning to get to it, but other books got in the way. Ohhhhhhhh how I wish I had known what I was missing! 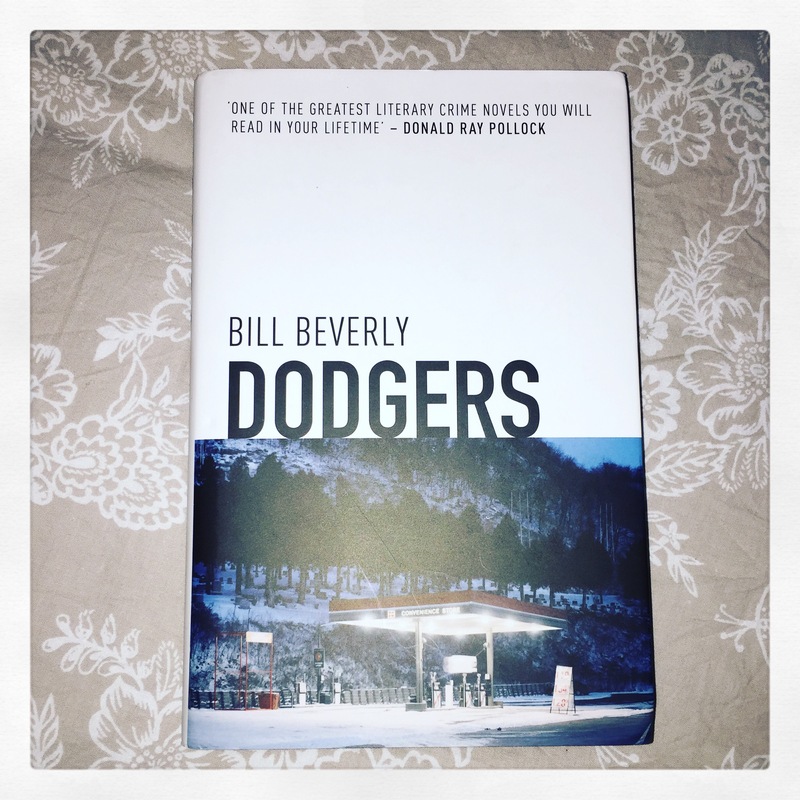 Dodgers is a superb debut from Bill Beverly. It is the most assured, well written and supremely constructed novel I have read in quite a while.Described as The Wire mixed with a road trip movie, Dodgers is so much more than that. Yes there are echoes of The Wire, but the most powerful parts of the book at when the gang is on the road. We meet East (standout character of the entire book!!!) , who gets sent on a job cross-country with a gang of boys which includes his wayward younger brother Ty (a very interesting character!) to assassinate a Judge. The gang get cash a map and are told they’ll get their weapons when they get nearer to Wisconsin. Unbeknownst to them, someone is packing. What ensues is almost a Clark Griswold-like road trip, anything than can go wrong will, or what they were told not to do the go off and do it!!! Including a stop in Las Vegas! But my god is it compulsive reading. I picked this up of an evening and I didn’t put it down until I read the very last page. I literally could not stop reading this book!!! I loved the story of East, his journey (both physical and mental) and where he ended up. It was poetic and perfect for his character! Dodgers is just wonderful. It is beautifully written, it is gritty, it is a lesson in the beauty of the American landscape at obscure times of the morning and night. It made my mind wander to when me and my family drove from LA to Las Vegas, it evoked memories in me that I though were long forgotten and I’m grateful to Bill Beverly for the gentle reminder of my childhood road trip. I’ve had this saved in Goodreads for months now! It seemed sooo good 😀 Now I can’t wait to read it!